This is a funky little salad that packs a lot of flavor. The tomatoes are slow roasted with olive oil and salt for three hours or so until caramelized. The eggs are boiled about 5 minutes until the whites are set and the yolks are soft and gooey. Then the eggs are placed on top of whole wheat couscous and a crispy chickpea base and drizzled with a spiced yogurt dressing. Be sure and give yourself plenty of time to roast the tomatoes. Make extra and store the tomatoes in a sterilized glass jar for sandwiches or pasta as they are delicious! Recipe has been adapted from the cookbook, "What Katie Ate", by Katie Quinn Davies. (absolutely adore this cookbook). Also, this Pearl Barley Salad with Harissa-Spiced Chicken that I made a couple of weeks ago came from here as well. Spread the tomatoes out on a baking sheet, drizzle with a little olive oil, season with salt and pepper and roast for 2 to 3 hours until caramelized and shriveled. Place the couscous in a bowl, add a pat of butter and a pinch of salt, then pour over enough boiling water to just cover. Cover with plastic wrap and set aside until the liquid has been absorbed, about 10 minutes. Then, using a fork, separate the grains to make them light and fluffy. Meanwhile, on medium-low heat warm 1 teaspoon olive oil in a heavy skillet, add chickpeas, garlic cumin, pistachios and fennel seeds, toss often, cooking until golden and slightly crispy on the outside. Remove and add to the couscous, along with the roasted tomatoes. Make dressing by whisking the yogurt, cumin, lemon juice, olive oil and some ground pepper together in a small bowl. Add eggs and basil leaves, drizzle dressing. Enjoy! Hi Tandy, next time I'll will make double or triple the amount of tomatoes, they were so good. I really really like couscous in a salad. By itself, not so much but in a salad, I'd stand in a long line to get some. This salad sounds so good! Thanks Maureen, couscous is fantastic in salads that's for sure. A wonderful salad! The kind of food I love to eat. Thanks Rosa, that was so sweet. Slow roasted tomatoes are the thing, you've done it again Cheri! Thanks Mike, slow roasted tomatoes are great, thats for sure. Love the idea of slow roasted tomatoes. I plant a ton of cherry tomato plants, and in the summer I have more tomatoes than I know what to do with! This will be a great use for them. Hi Natalie, I have not had much luck with tomatoes plants, but with cherry tomatoes I've had some small successes. Thanks Dena, I'm a big fan of chickpeas and couscous. 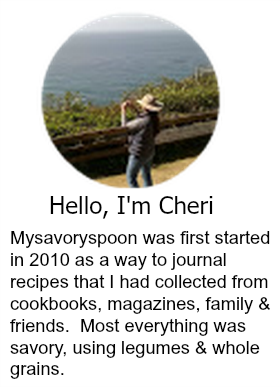 Hi Cheri, returning your visit! 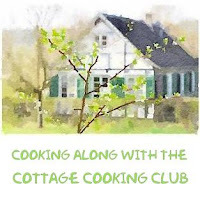 I absolutely love what you cook and your blog is fantastic! Couscous and chickpeas are two of my favs! Thanks Viviana, appreciate the comment. They are my favorites as well. I've done candied slow roasted tomatoes as gifts for people at xmas but I'm always running out and never get to really taste them much myself, lol. This recipe has such an interesting combination of flavours that I MUST try it! I love unique and different varieties of ingredients and this definitely has the key to something spectacular! Thanks so much. Thanks Robyn, the slow roasted tomatoes are so good in this, I never make enough. Oh yum! This looks oh so delicious. Saving the recipe. Thanks Traci, appreciate the comment. Thanks Ela, I always forget how good the tomatoes are until I make them again, simple but delicious! This sounds so delicious! I've made slow-roasted tomatoes before, but it's been years and I can't believe that I've let them slip out of my repertoire. They are incredible, and they sound so good with this couscous salad and eggs. Hi Elizabeth, I know I do the same thing, thanks for stopping by. Thanks, really appreciate the comment. Have a great week-end! This IS a little out there as far as salad goes, but I'm never one to say no to runny egg yolks and roasted tomatoes! YUM. Hi Joanne, I know, but sometimes crazy is good. This salad also sounds wonderful - my favorite element being the slow-roasted tomatoes, I think. I also looked at that cookbook that you mentioned "What Katie Ate" - it looks fabulous! I read a review of that book on a German website last week - what a coincidence. I really like the style of photography in that book and the recipes look intriguing too. Hi Andrea, Katie Quinn's cookbook is among my favorites, love her photgraphy. Gosh Cheri! This sounds wonderful! My kind of of cooking! Yum! Thanks Grace, it was a crazy mix of flavors, but it really did work. Hi Tina, I keep forgeting how great slow roasted tomatoes are, it's nice to have extra around, especially during the summer months. Made this dish for dinner tonight after doing a Google search for "chickpeas and slow - roasted tomatoes." It was a big hit! Thanks for a fantastic recipe. Thanks Bree, check out the What Katie ate blog and there are a lot more recipes like this on there.